It all started very quietly, with the release of the USAID worker Alan Gross who was arrested in Cuba in 2009. The US is “beginning discussions to re-establish diplomatic relations that have been severed since 1961.” An official who spoke on the White House call said this would lead to the establishment of a US embassy in Cuba and a Cuban counterpart in America. 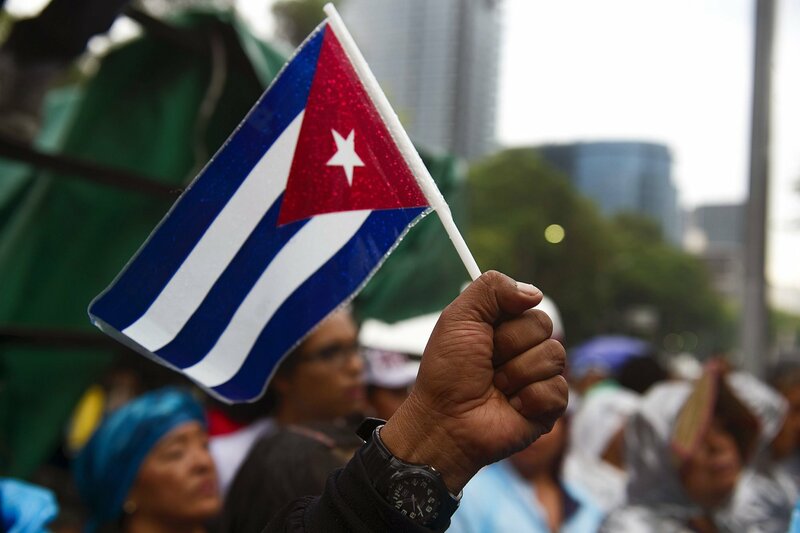 In spite of this, they said the Obama administration expects to continue to have “strong differences” with Cuba, particularly on issues relating to democracy and human rights. According to an official, President Barack Obama has instructed Secretary of State John Kerry to review Cuba’s designation as a state sponsor of terror. Lastly, the official said the US will take a “number of steps to significantly increase travel, commerce, and the flow of information to and from Cuba.” This will include an easing of current travel restrictions and efforts to make it easier for Americans to use debit cards and other financial instruments in the country. How could Mr. Gross (with all due respect, of course) be considered so important to solve a crisis that began in 1961 ? And what will happen to the embargo ? These are questions that will be answered by Washington in the next weeks.